How should these cakes be delivered? 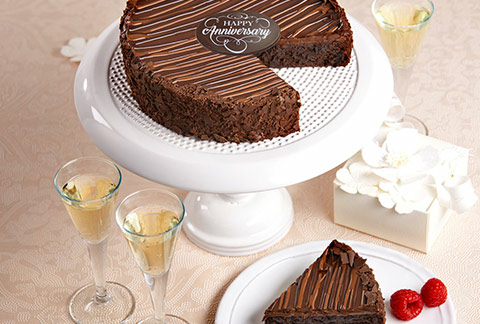 5% of your order will be used to assist our effort in sending gourmet occasion cakes to soldier's overseas. If you have a soldier's birthday approaching, click here to send a cake to an APO/FPO address. Your gift is guaranteed to be delivered on time or your shipping is free! 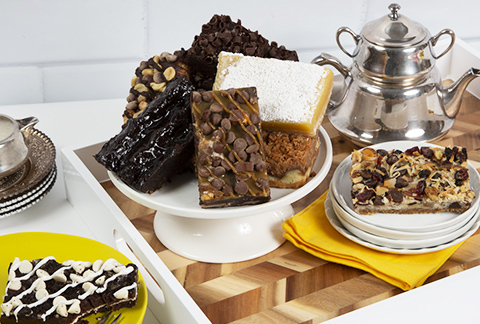 Share the celebratory spirit with this opulent dessert bar selection, featuring: Mississippi Mud, Classic Fudge, Cookies and Cream, Apple, Lemon, Coconut Magic, Peanut Butter, and Caramel Nut. The creme de la cream of desserts! 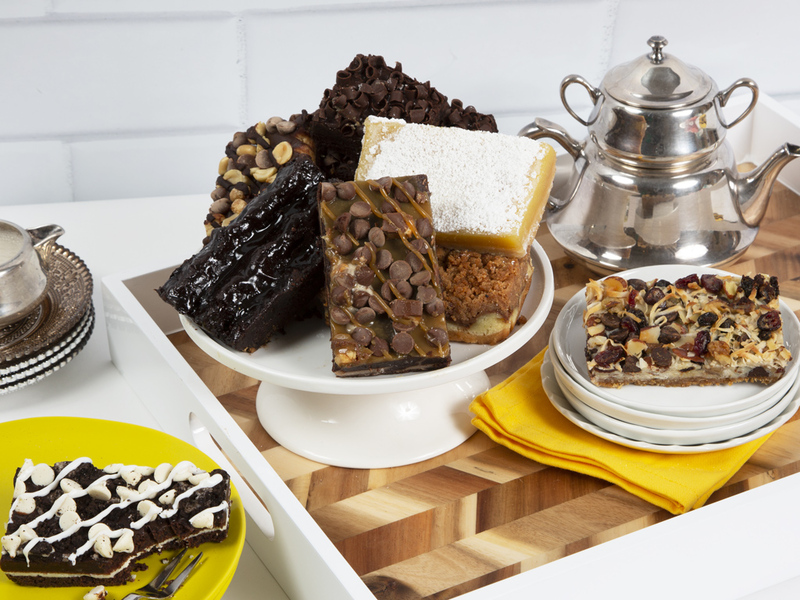 Each dessert bar is individually packed but big enough to share! Arrives in an elegant gift box with a greeting card you can personalize online! *ALLERGY INFORMATION: Unless otherwise noted, products contain milk, wheat, soy and egg, and were produced on equipment that processes peanuts, almonds, hazelnuts, pecans, walnuts. Our facility is not Gluten Free. Orders placed after 4:50PM ET Monday through Friday will be processed the following business day. Deliveries to Alaska & Hawaii are an additional $25.00; no international shipments. Our gifts are perishable and on-time delivery is of utmost importance! We cannot be held responsible for incorrect/incomplete addresses. Apartment numbers and suites for residential and business deliveries must be included. Please ensure you have the full address - delays due to missing or wrong information nullifies guaranteed delivery. We want your gift to arrive fresh and delicious!